One of the great things about golf is that, at times, any golfer can experience what the pros experience. So the other day at Bennett Valley, I’m a single, joining up with two welcoming guys, James and Daniel, originally from Kenya and now Americans. I only have time for nine, and my round is going OK: a bird, couple of pars, couple of bogies, two nasty doubles. At this point in the year, I’m fairly happy with my play. Driving solid. Irons decent. Putting good. Chipping so-so with too much speed at times. I come to the ninth, a tree-lined hole that requires accuracy and distance off the tee to have any chance of reaching the green in regulation. I pull my tee ball a bit but it remains in the fairway about 170 out, with a hurting wind, maybe 15 mph. Normally a five-hybrid, but I pull the four to compensate. The pin is deep, beyond a large bunker guarding the front of the green. A sucker pin, Johnny Miller would call it. Playing it smart, I hit a well-struck shot safely to the right of the bunker and on the green. “Good shot,” yells James, smiling from across the fairway. These Kenyans know their golf etiquette. I lie two, facing a daunting, double-breaking, maybe triple-breaking, putt. I’m away by a country mile. So I line up the putt, scratching my head. I have no idea what the hell this snaking monster is going to do, or even how hard to hit it. But after a totally pointless plumb bob (how do you plumb bob a multi-breaking putt? ), I take a couple equally pointless practice strokes, set my stance, look at the hole, and draw back the blade with the courage of young Tom Morris. The putt starts off on a pretty good line, almost straight overall given the quantity of breaks. The greens on this wonderful muni are remarkably true this spring day, but the ball takes a couple of major bobbles on its Kon-Tiki-like journey. About halfway along, I begin to notice that not only is it on a hopeful line, but its speed looks encouraging, as well. Interesting how we golfers can often tell part way along if the speed is right, even shortly after the ball leaves the putter’s face. With this one, it was right after the bobbles, which could be seen as rapids on a class 4 river, that the ball survived the first break, having been pushed to the left of the hole, and was now taking a yawning break to the right and heading towards the cup. I could hear Daniel saying, almost under his breath, “Uh, oh. Watch out!” as the ball crept slowly onward, as if gently and mindfully guided by the hands of golf gods who were a bit bored by amateur play and wanted to spice up this guy’s last hole of the day. About five feet out, the ball was now obviously tracking towards the cup, giving me the first inkling that it could go in. And go in it did. Center cut. Nothing but net. Gooaaalll. Touchdownnnnn. Going, going, gone. Ace!! Yes sirrrrr. Verne Lundquist could well be announcing the feat at greenside. I threw down my hat and putter, and marched to the cup, as triumphant as Joan of Arc on her rearing steed, as proud as California Chrome in the Derby winner’s circle, as jaunty as Nicklaus, 46, winning the Masters in ’86. “I can’t believe it!” was all I kept repeating, holding my hand to my forehead, as I walked up and through the crowd of my new, two, Kenyan American companions, high-fiving me with congratulations. It was thrilling, in some ways more so than the three holes-in-one I’ve had, because I was so close to the shot. I could see every inch of its treacherous journey, almost as if I were on this brave raft as it plied its way onward upon this sea of grass, eyes on the prize, until it reached that final drop off into the cup. And speaking of Jack, it was a moment that I, an ordinary amateur handicap golfer, could experience what the pros often experience–that thrill of making a remarkable shot, that astounding, unexpected birdie–and yes, it was a birdie–celebrated with heart-thumping, fist-pumping exultation, elevating, in one magic moment, my world to theirs. There are few other sports that afford such a personal experience for the handicapper. And that is the real point of this tome. I am not intending to brag or boast or toot my own horn. I just felt the feelings a pro must feel–maybe even more intensely since I so rarely experience such a shot– and, in retrospect, marvel at what the game of golf offers in this regard. 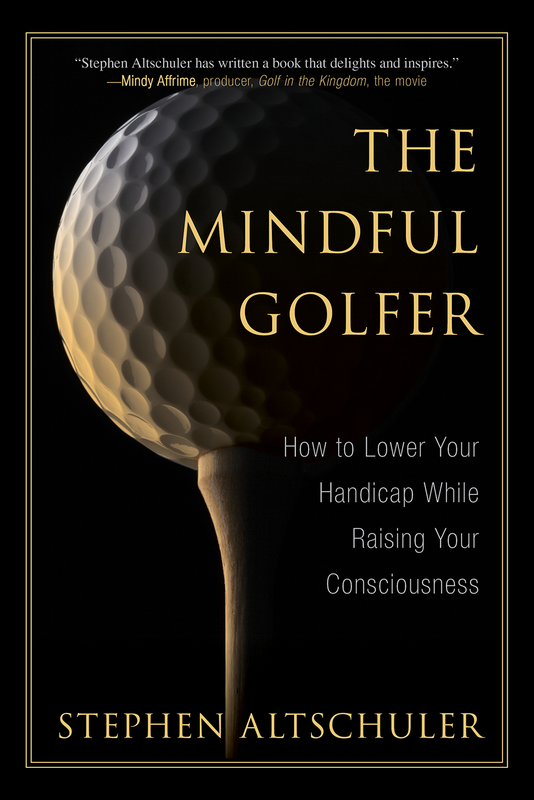 In fact, I think many beginners stick with this difficult game when they feel the feel of solid contact for the first time, or sink their first 25-footer for par, or make their first birdie after a gorgeous 6-hybrid to a 140 yard par 3. It’s a game that dangles potential miracles in our mind. The psychologists and slot machine engineers call it intermittent reinforcement–that occasional big reward amidst a plethora of failures that gets us to keep coming back for more. In fact, as I now recall, James asked somewhat rhetorically as we walked to our balls down the ninth fairway just before my miracle to come, “Why do we keep coming back to this game after doing so poorly at times?”; and I think that’s it. Even after the double bogey I had from behind a tree on the previous par 3, 8th hole, it offers the possibility of the occasional shot at glory like that unimaginable 75-foot (I walked it off, by the way, after holing it, each of my strides being a yard, and totaling 25 steps) birdie bomb at Bennet Valley on the very next hole that sunny, windy northern California day in May (Oh, I forgot to mention, I took it off from work–add here a joyous, tearing, smiling emoticon!) . I thought of you yesterday when Tiger made his 71 footer. You can say you beat Tiger and that’s saying something. I miss your posts and pray you’ll back writing and golfing again soon. Thanks, in part because of your encouragement, David, I’ve just posted my first piece in quite a few months. Good to be back and writing again. Will try to keep this going, energy permitting. I’m determined. This blog is important to me, and a few others seem to enjoy it as well.